Clybourne Park, Bruce Norris’s drama suggested by the story of Lorraine Hansberry’s A Raisin in the Sun, won the 2011 Pulitzer Prize for drama today. The play had its premiere Feb. 21, 2010 at Playwrights Horizons in New York and ran only a month, until March 21. A different production opened in London in August 2010 and then transferred to the West End. Here’s the New York Times review. Detroit premiered at Chicago’s Steppenwolf Theater in September 2010, and A Free Man of Color premiered at Lincoln Center Theater in New York in November 2010. Bruce Norris is the author of the play Clybourne Park, which was produced at the Royal Court Theatre and won the Evening Standard Award for Best Play, 2010. Other plays include The Infidel (2000), Purple Heart (2002), We All Went Down to Amsterdam (2003), The Pain and the Itch (2004), and The Unmentionables (2006) all of which had their premieres at Steppenwolf Theatre, Chicago. His newest play, titled A Parallelogram, premiered there in July. His work has also been seen at Playwrights Horizons (New York), Lookingglass Theatre (Chicago), Philadelphia Theatre Company, Woolly Mammoth Theatre (Washington D.C.) Staatstheater Mainz (Germany) and the Galway Festival (Ireland), among others. 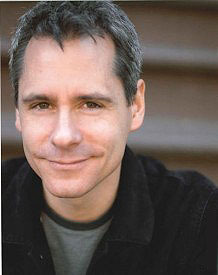 He is the recipient of the Steinberg Playwright Award (2009), and the Whiting Foundation Prize for Drama (2006) as well as two Joseph Jefferson Awards (Chicago) for Best New Work. As an actor he can be seen in the films A Civil Action and The Sixth Sense, and the recent All Good Things. He lives in New York. This entry was posted in Awards, New plays, New York theater, Regional theater. Bookmark the permalink.